Alexandria Ocasio-Cortez has really stepped in it now. The controversial freshmen Democrat has found herself in the middle of numerous controversies. But Ocasio-Cortez crossed the line with this attack on Christians. Americans were horrified to learn of the tragic shootings at two mosques in New Zealand where a deranged murderer massacred 50 innocents. There was a massive outpouring of support with many Americans offering their prayers for the victims and their families. That did not sit well with Alexandria Ocasio-Cortez. The New York Democrat raged on social media about how offering thoughts and prayers in the wake of a tragedy were useless. And then she used her attack on Christians to demand the government ban and confiscate firearms. New Zealand has strict gun laws. Individuals need to obtain a permit in order to purchase firearms. But the gunman obtained his firearms legally – which once again showed the folly of gun control laws. These laws don’t work. They only serve to disarm law-abiding citizens. But New Zealand’s politicians acted in knee-jerk fashion and promised to swiftly pass new gun grabs. This was music to Ocasio-Cortez’s ears. Gun-grabbers in the United States love the opportunity mass shootings present. It’s their chance to seize upon the initiative in the gun control debate and use emotional blackmail to browbeat politicians into gutting the Second Amendment. Barack Obama tried this after the Sandy Hook tragedy. Former President Obama claimed his failure to ram a national gun registration database into law was the biggest disappointment of his Presidency. And while he may have left office, gun-grabbers like Alexandria Ocasio-Cortez stand ready to pick up the mantle. As the 2020 Presidential campaign heats up, pundits expect Ocasio-Cortez to try and push the Democrats even further to the left on guns. 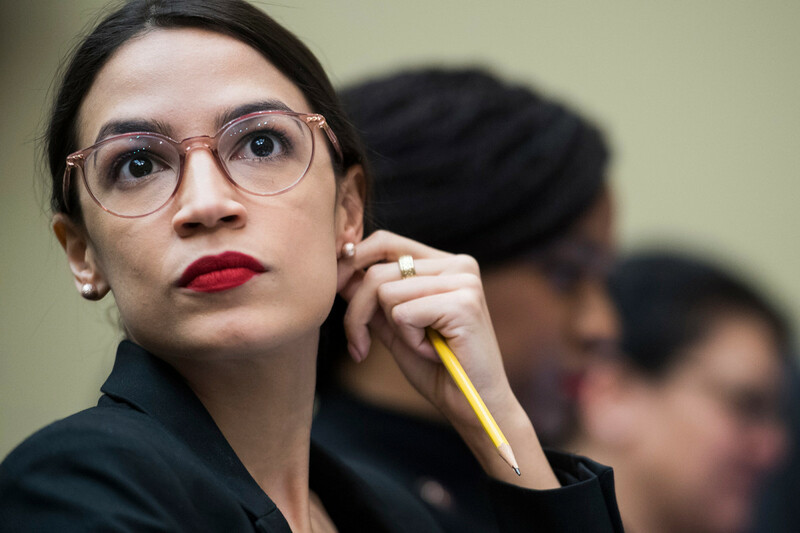 Ocasio-Cortez’s swipe at Americans who offer their prayers for the victims of the New Zealand shooting also demonstrates that the left is increasingly comfortable using religion as a source of mockery. Democrats do not believe faith unites Americans.